Since my wife and kids are away for a few days and I have a whole weekend to myself (a rare occurrence indeed!) I decided to record a quick techno / acid mix, featuring some of the new tracks I’ve picked up on vinyl over the last year or two. Let’s be honest here, this is not all that different from The Dream of the 90’s is Alive in Kreuzberg a few months back. I put a stack of vinyl on my couch in my mancave, hit record, and just improvised the whole thing from start to finish, with no preparation or practice. Total winging it action, just like a live set! It was also hot as hell yesterday when I recorded it, so it was almost like being authentically in a club, except that I was, um, by myself. I was very sweaty by the end, though, that’s for sure. Maybe it’s for the best that my wife was away? I was certainly stinky! 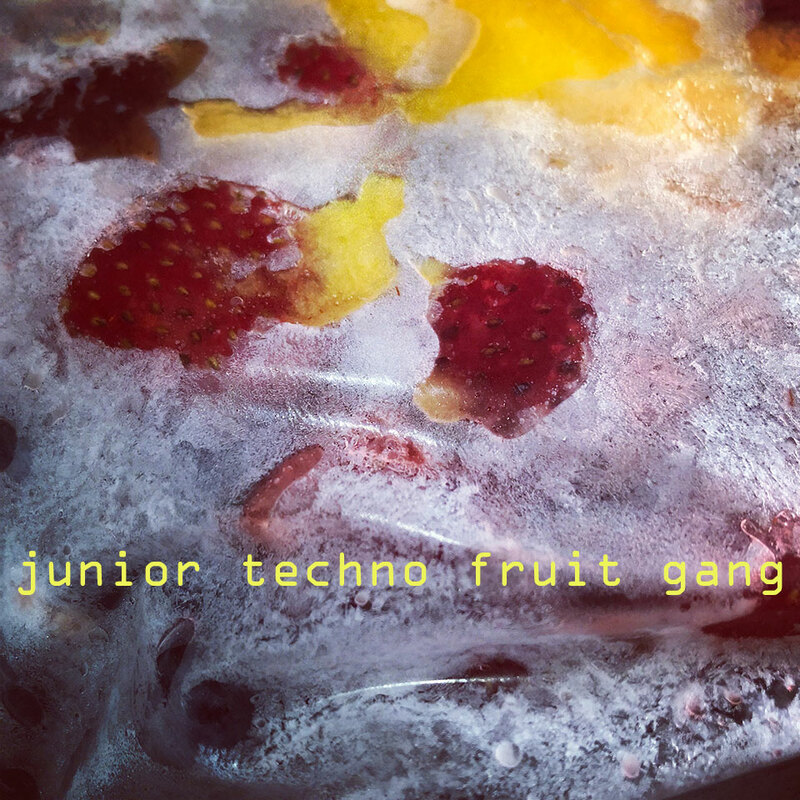 So yeah, this is the first in a series of two mixes I am planning to do this week (the next will be called ‘Meaty Aged Acid Dad’ and will be a more old skool acid techno set), and the idea is that it is sort of a promo for Kiwi Habibi, a crew in Berlin that I have recently hooked up with – the title is a reference to these tracks being new (and the crew members being younger than me) as well as to the fact that their logo says ‘Kiwi Habibi ist die Gang’. It’s been kind of interesting getting back into buying techno on vinyl recently. Obviously this is strictly a minority pursuit these days as basically everyone of consequence plays digitally now, so it’s a bit like wanting a manual transmission car in the US. One thing I have found is that a lot of modern techno is kind of … boring. It plods along nicely enough, but I have to dig deeper to find that wild energy I’ve always liked. Since it has been a very long time since I took any drugs, if I go out to dance I want things to be exciting and interesting, and I’ve found that a lot of the normal Berlin techno is just kind of dull. Mechanical clanking for a few minutes before an efficient segue into mechanical clonking for a few more minutes. Like it’s cool for a little while, then I get bored. I suppose if I were high it wouldn’t matter, but I never am, so it does! Anyways, consider that my justification for why in my recent ‘new techno’ or ‘new acid’ mixes so many of the same artists and labels keep reoccurring. These guys are the real keepers of the flame!